Applications engineer/technical services supervisor, Taco, Inc.
Click here or on the photo for a PDF of the complete case study. At the AHR Expo, Las Vegas, NV, January 31, 2011 – Taco”s new 1900 VFD close-coupled, in-line pumps with integrated variable frequency drives are designed to enhance pump and building efficiency. The single- or three-phase 1900 VFD line greatly increases energy efficiency and building comfort. Taco 1900 VFD pumps are available in five basic models ranging in size from 1-1/2″ x 1-1/2″ to 2″ x 2″ with a flow range of 10 to 250 GPM, and head capability to 160 feet. Rear, pull-out design allows servicing of the pump without disturbing the piping. The 1900 VFDs can be installed anywhere in the piping layout. They are self-supported by system piping, requiring no additional strapping or external support. Each can be mounted horizontally or vertically. The motor”s permanently sealed, grease- lubricated ball bearings slotseys make the 1900 Series pump virtually maintenance free. All 1900 Series pumps come standard with ceramic seals to meet a wide range of application requirements. The mechanical seal is an innovative design that combines all components of the rotating element into one assembly, making seal replacement quick and easy. One size seal fits all models. 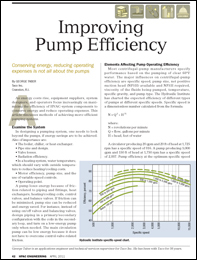 Typically, the payback period for installing VFD pumps in place of single-speed pumps is less than 12 months. Because HVAC systems are rarely required to operate at full capacity, VFD pumps gently ramp-up and ramp-down operation to match system flow to actual heating and cooling demands, enhancing overall system efficiency. Welcome to the new RM Cotton Co. website! That’s right, we’ve completely redesigned our website to better serve our customers and manufacturers. Following a recent logo refresh, and other design improvements, we’ve carried the new brand elements over to the web, and added new features to the site like News from RM Cotton Co., more images of our products and projects, and featured project lists. Take a minute to browse the new site, and come back often for news about the industry, our manufacturers, and our company.